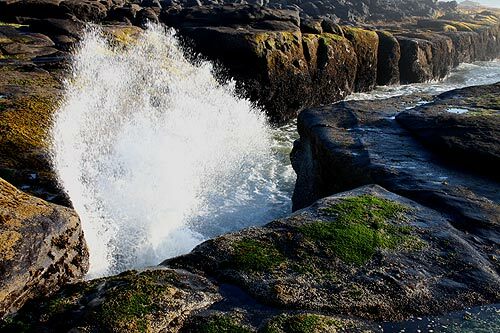 (Yachats, Oregon) – There's a lot about this little central Oregon coast wonder that's fairly obvious right off the bat: a dramatic, crazed coastline where rocky basalt structures coax the waves into a constant state of crashing. There's the scenic viewing platform allowing pleasant, long stare sessions at the wild waves. There's the 804 Trail where even more such wonders lay. Then, things get a little more complex. 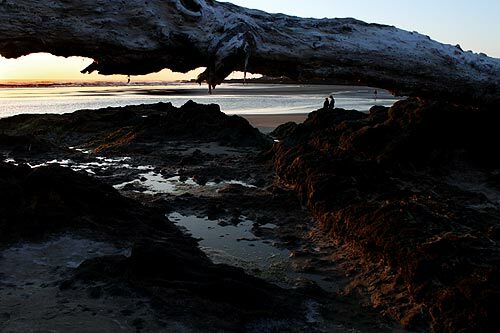 If you spend just a bit of time wandering tiny Yachats – about 40 minutes south of Newport – you'll soon start to discover the discoveries keep coming. The delights are sometimes in the details here. Such as some of the hidden spots – of which there are quite a few. 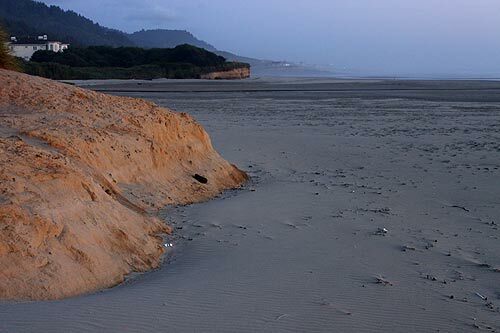 About a mile or so before Yachats gets rocky and jagged, it's comprised of the soft sands typical of South Beach, Waldport and those areas just south of there. 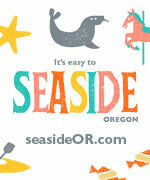 Look for Brubacker St. at the very northern edge of Yachats, near MP 162. You'll find a nondescript little patch of gravel by the side of the road with the telltale sign of a tunnel dug through the thick brush. Here is a nice little getaway during your getaway, with funky colored cliffs and even a tiny bit of a cove carved into the rockface. A tad south, the 804 Trail and Smelt Sands never ceases to amaze. A little over half the time the tides are manic and wild here, creating some awe-inspiring spouting horn action. Sometimes, it's not too wild and you can get surprisingly close to these otherwise very dangerous watery pryotechnics. 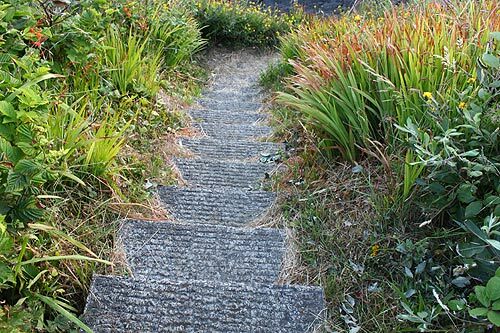 Closer to the main access of Yachats State Recreation Area – where the platform is – there are some funky stairways heading down to this northern side of Yachats' rivermouth. This section is full of all sorts of finds, but the stairways themselves sometimes hold the most scenic interest. They seem a bit otherworldly and whimsical, as if they may lead you to some sort of magical wonderland. On the southern side of the bay, foot traffic is much less. It's a hidden spot that's really quite popular as far as hidden spots go, if that dichotomy makes sense. Unlike most of Yachats, it's a slightly more traversable section of this central Oregon coast sparkler with its mix of sandy areas and labyrinth-like rocky slabs. The tides kick up lots of surprises here. You may find yourself surrounded by a forest of ghostly white trees laying around in all sorts of angles, as if gravity forgot what it was supposed to do. It all makes for even more fascinating exploration. 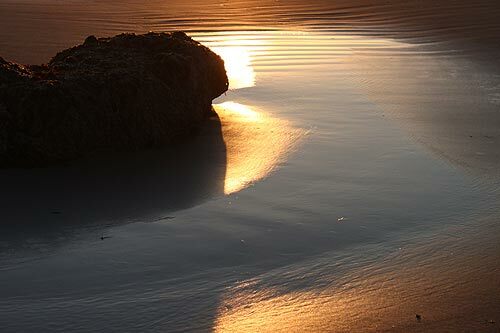 Wander even farther south and you'll find yourself at a hidden cove of more wild waves and wonders. 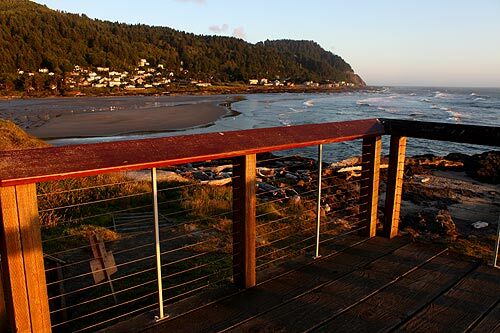 There's much more about this section of the central Oregon coast at the Yachats Virtual Tour, Map.